Estate: Founded by Giovanni Sandri in 1965, Giovanni was born into a family of farmers from which he learned the art of grape growing and winemaking. In 1965 he purchased Cascina Disa and began crafting his Barolos. Today the estate is headed by Elio and Daniela Sandri, along with their children Luna and Riccardo. Located in the Langhe hills of Monforte d’Alba, the estate consist of 7 hectares of vineyards, with the oldest vines dating back to 1937, the newest 2001. With an emphasis on ecological balance and preservation, in 1999 they purchased a neighboring forest, in order “to balance the impact of human activity with the territory”. As with many other Barolo estates, they also produce Dolcetto and Barbera wines. Winemaking: Organic, natural processes [along with some biodynamic principles] and minimum interventions are followed in the both the vineyard and cellar. Overall the vineyards consist of marine soils of calcareous clay; grapes for the Riserva are sourced from “the best land where the marl comes to the surface”. Spontaneous fermentation with indigenous yeasts followed by “5 years in large old slovonian oak barrels and bottle”. Bottling done only during the waning moon. For a more in depth look at Elio Sandri, his wines and vineyards, please click here for Gregory Dal Piaz’s fantastic article on his visit to Cascina Disa. Tasting Notes: Dark garnet with brick edges in colour, with aromas of tar and rose. Agile and engaging, with that divine pairing of tar and rose flavours encased in red berry fruit and velvety tannins. 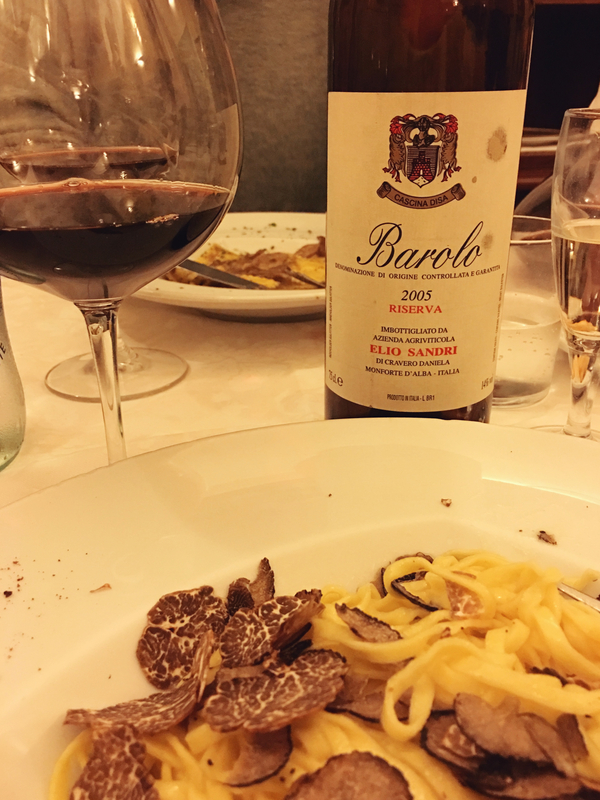 Classic, elegant, powerful, everything I want in Barolo. Pairing Suggestions from the Winery: Superb for hearty meat dishes, truffles, game and strong Piemontese cheese.